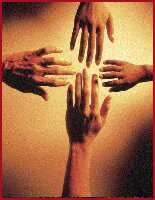 Western Reserve Church offers adult fellowship classes each Sunday morning at 9:30. Each one is designed to help you grow in your discipleship. The Seekers class does a traditional Bible study using a study guide. They meet in the District office. The Donuts & Discussion Class offers an informal setting to discuss contemporary issues as they relate to the church. They meet in the Library.